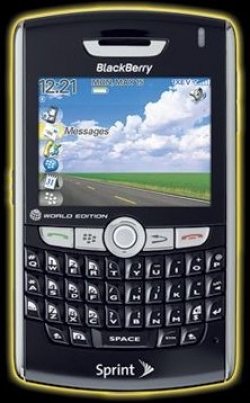 Blackberry 8830 world phone coming to Sprint July 15 | BlackBerry Blast! It looks like the BlackBerry 8830 will be coming to Sprint next month. engadget has posted a document that looks pretty authentic. The BlackBerry 8830 world phone will feature CDMA and GSM allowing users to travel worldwide with their BlackBerry. The Sprint BlackBerry 8830 will sell for $199 with a 2 year agreement.